Self esteem = Bad. Self flagellation = Good. Now, maybe I am some kind of rare exception (although I doubt it,) but my struggle is not with believing that I am not as great as I think I am. I have no problem attributing titles like “sinner,” “Condemned,” “unclean,” to myself. None. Whatsoever. Because I know they are true. I feel them deeply. They are the titles I tend to favor when establishing any description of myself. What I struggle with is taking the other, equally true things that the Word of God says about me and applying them to myself. Forgiven. Accepted. Chosen. Holy. Beloved. I’m the fat one. I’m the slow one. I’m the stupid one. My brother, now there’s a favorite! The voice of abusers and accusers assaulted my mind and rebelled against this outlandish idea of hers. I rested again in the horrid comfort that they brought. Because that was my safe place. My refuge. When things don’t make sense, it’s because I’m horrible. The worst. I deserve it. And doesn’t the Word of God back that up if I cherry pick it just the right way? I find comfort in these thoughts because they are my core belief. They are the thing I go back to again and again to realign myself when things go topsy turvy. What kind of junk is that?? That is not what Jesus died for. If that’s how I see my children, how much more perfectly does God see them? And me? And you? Now, either God is delusional, or this is the real actual truth about what He sees when He looks at His bride through the blood of Christ. I am going to go out on a limb here and say that that is what He would desire for our core belief to be. 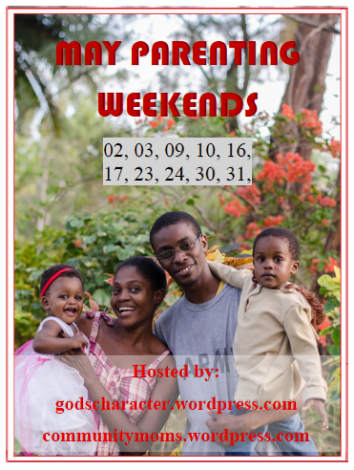 Because I, as an imperfect parent, want my children to know their intrinsic value as beings created in the image of God for whom Jesus bled out and died and conquered death, how much more does our perfect Father want us to be utterly convinced of that? I always look to the Lord when I make parenting choices. So I made the choice several years ago to tell my kids, every day “I love you. I like you just the way you are. I adore you. You are my favorite.” Because every day, God whispers the same thing to me. So, regardless of how the Church feels about self-esteem, regardless of what man has told us we should think about ourselves, I want my children to see themselves the way that God sees them. They are each His favorite. I love this. A great comparison of the love we feel for our children and God’s love. May you continue to know that He cares for you (1Peter 5:7) at all times, through all circumstances. I would love you to link your post to Sunday Stillness. Or Lisa you can link it. A new link will be up tonight. This was a fantastic reminder to hold tight to all of God’s promises, Beth. I so appreciate your authenticity as I think many of us struggle with remembering to build our identity through Him and see ourselves as favored, chosen, forgiven and loved. Thanks Brandy for coming by today. I will let Beth know you commented on her post!!!! I just love that we serve a God who loves us unconditionally. Have a good day Brandy. I struggle with believing that God treasures me and enjoys me. Thank you for the beautiful reminder! Kelly thank you for coming by today. Yes you are God’s treasure. He enjoys you. Have a beautiful in His everlasting loving arms. This definitely speaks to me! 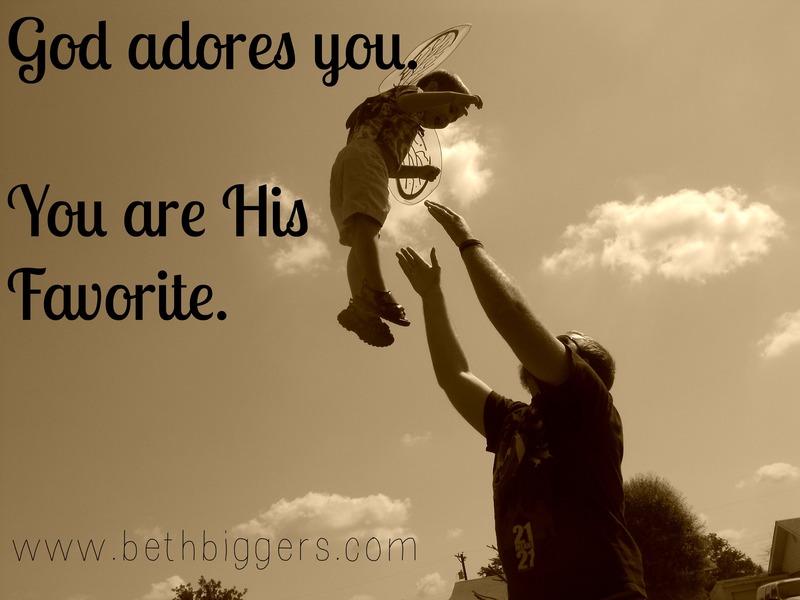 I’ve never really thought about being God’s favorite but Beth broke it down so well- of COURSE both of my boys are my favorite of them all-everyday-forevermore AMEN. No MATTER WHAT! So to think about God seeing ME that way- it makes me feel special. Yes! 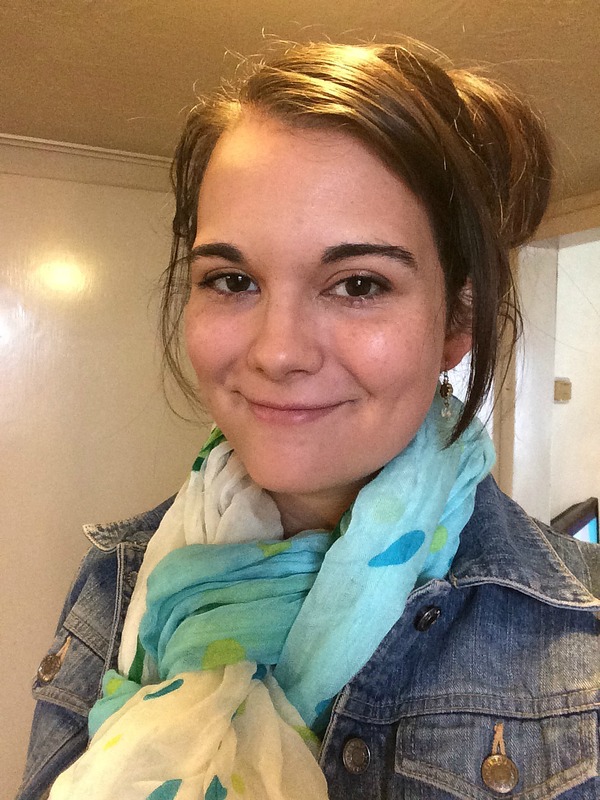 As I experience joy and love for my kids – I get a good idea how God loves me. You are special and God created you in His image and likeness. You are a somebody because God does not make junk. Everything He creates is beautiful and you are.